Employees are the weakest link when it comes to enterprise security, and unfortunately hackers realized this years ago. All an attacker needs to use some social engineering tactics against employees of companies and organizations they want to target. A massive 91% of successful data breaches at companies started with a social engineering and spear-phishing attack. A phishing attack usually involves an e-mail that manipulates a victim to click on a malicious link that could then expose the victim’s computer to a malicious payload. So what is the missing link to manage the problem of employees being Social engineered? The answer is very simple – Educate your Employees and reinforce good security procedures at the same time. Yes, you heard me right… by this I mean that you should run a mock phishing campaign in your organization and find out which employees would easily fall victim to the phishing emails. Then step everyone through Internet Security Awareness Training. In our previous articles, we introduced Kevin Mitnick Security Awareness Training 2015 that specializes in making sure employees understand the mechanisms of phishing, spear phishing, spam, malware and social engineering, and are then able to apply this knowledge in their day-to-day job. How to phish your employees? 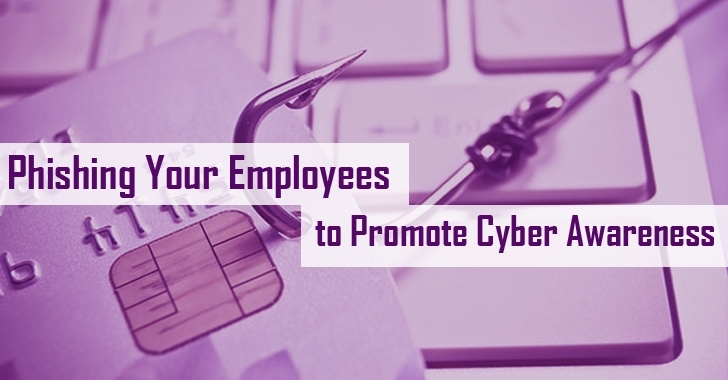 I would absolutely encourage any organizations to run mock phishing campaigns on their employees to know how security savvy their employees really are. Simply conducting a phishing test is not time-consuming, and it is entirely free as well. Knowbe4 offers a Free Phishing Security Test service that allows you to find out what percentage of your employees are Phish-prone. If an employee mistakenly clicks on a malicious link, the hacker could pilfer the account details and install malware onto the system in an effort to infiltrate corporate networks, potentially making business data, sensitive information and security at risk. Take the first step now to significantly improve your organization's defenses against cybercrime. Fill out the form, and you will be able to immediately start your Free Phishing Security Test (PST) No need to talk to anyone. The number is usually much higher than you think. The End user security awareness training is no luxury anymore; it is a 'must'.